There is never a bad time to be setting new goals. As a consumer, you should always be trying to improve your credit score. Having a higher credit score benefits you when trying to receive a loan or mortgage, but helps lower your insurance premiums, make you a more attractive employment candidate, and benefits you with discount and savings at many consumer friendly locations. FICO credit scores range from 300 to 850. Having a credit score about 720 greatly increases your chances of getting the best rates on your mortgage contract and term. The best way to improve your FICO credit score is to understand the factors that make up the score, and how to take specific actions to improve it, thus bringing it countless positive effects for you. Many consumers do not understand what goes into making up a credit score. It is comprised of all information that is found in your credit report. Your FICO credit score is made up of: payment history, total amounts owed, length of credit history, new credit, and type of credit in use. To find out what makes up your specific credit score, you will want to review your latest credit report. For most consumers, your payment history consists of 35% of your overall FICO. Next, total amounts owed makes up 30%. Length of credit history then comes in with 15% of your score. Then, new credit takes up about 10%. 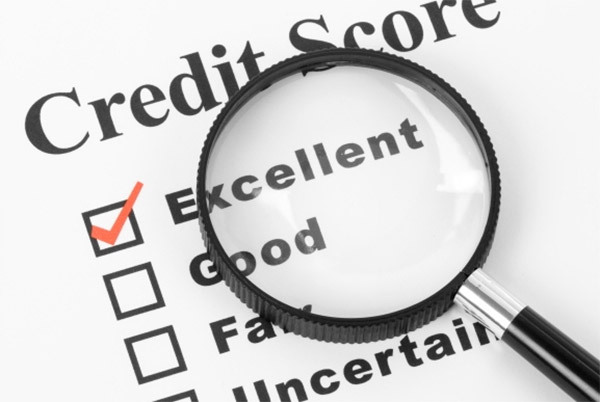 Lastly types of credit in use results in about 10% of the remaining score. To ensure that your score stays positive and does not get affected by negative mishaps, make sure your score is corrected from errors to ensure that your score is the highest possible at the time of applying for a loan. For consumers looking to improve their current scores, we have compiled four specific things you can do to ensure your score is raised. The first things that you should take in mind when trying to improve your FICO score is to verify your accounts are current and up to date. With “Payment History” resulting in 35% of your score, it is vital that you keep current on all of your accounts reporting to your credit score. If you find any accounts that are past due when reviewing your credit report, catch the accounts up to date as soon as possible. This will help raise your score drastically when you check the next credit report. After 12 months of clean and no late payment history, you will see large results in your score. If you continue this for another year, you will find that your new score highly outperforms your old score. Even if you do miss a payment, paying it off within 30 days will allow you to regroup and keep your score high. If you decide to wait 60 to 90 days, you will see your score dip. After 90 days, you will continue to see your score drop lower and lower the longer you wait. It is highly recommended to pay off your account as soon as possible after the due date. The second tool to improving your credit score is to dispute your inaccuracies. If you find any errors in your credit report, you will want to spend the time to dispute and get those problems corrected as soon as possible. You will want to start with contacting the data providers that provided the incorrect information to the credit bureaus. After contacting the data providers, you will want to get in touch with the bureaus themselves. By law, these bureaus are required to investigate these accusations within 30 days. Sometimes, you will need to submit documentation that supports your discrepancies; send copies of the files, never originals. Most of the time, within 45 days, the bureaus will notify you with the results from your investigations. Hopefully this will be allowing you to obtain the highly positive score you once had. Our third tip, which will just depend on your current situation, is to ask a creditor for grace. Most of the time, if it is your first or second offense, they will waive the late fee and notice. It is always a good idea to give your creditor a phone call to ask for grace, rather than through email form. If you can explain the story behind your tardiness, most creditors will waive the late fee and not impact your score negatively. The last tool to improve your FICO credit score is to improve your debt utilization ratio. In other words, you should improve your “amounts owed” ratio. Seeing that debt utilization represents 30% of your FICO credit score, this is a very important item to beware of. The FICO scoring model takes into accounts the usage of each individual credit account, as well as all the accounts combined. In general, debt utilization consists of 30%, anymore than 30% is usually carries negative effects towards your account. The best way to stay under 30% and improve your debt utilization is to pay off your current debt.